This tour traces three generations of the Pepper family starting with Captain Elijah Pepper and his first small distillery to Oscar and James Pepper enlarging the business and becoming bourbon aristocrats in the process. The tour includes visits to sites connected with this first family of bourbon including; the site of Elijah’s first distillery, tour and tastings at Woodford Reserve, the Barrel House Distilling Company and the newly restored Pepper Distillery. 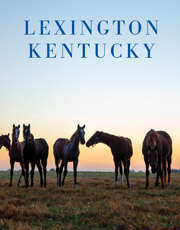 Pick up can be at a local hotel in Lexington or the Lexington Visitors Center for the drive to Versailles, Kentucky. The tour is approximately 7 hours long with a moderate amount of walking. Lunch is included with this tour. Price includes tours and tastings at Woodford Reserve, Barrel House Distilling Co, and the Pepper Distillery.